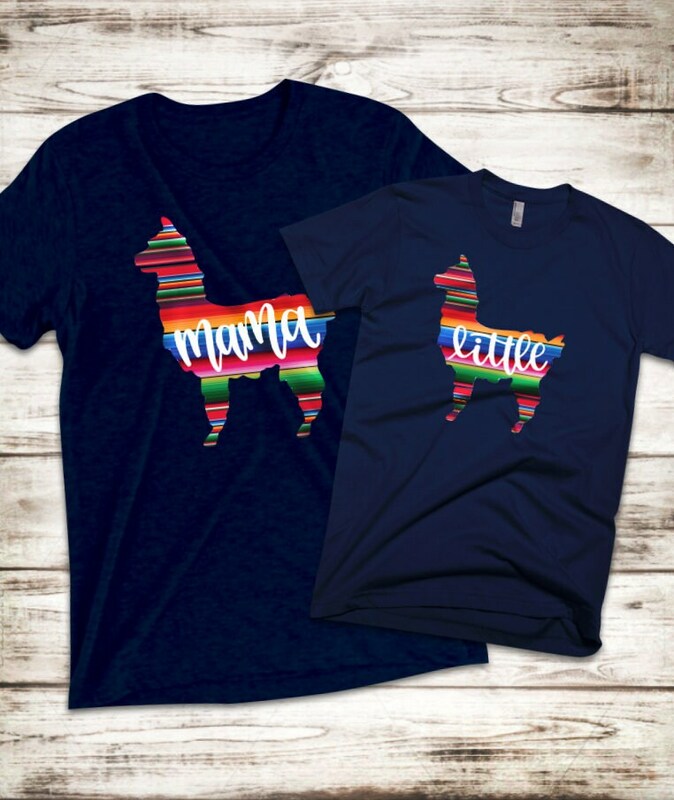 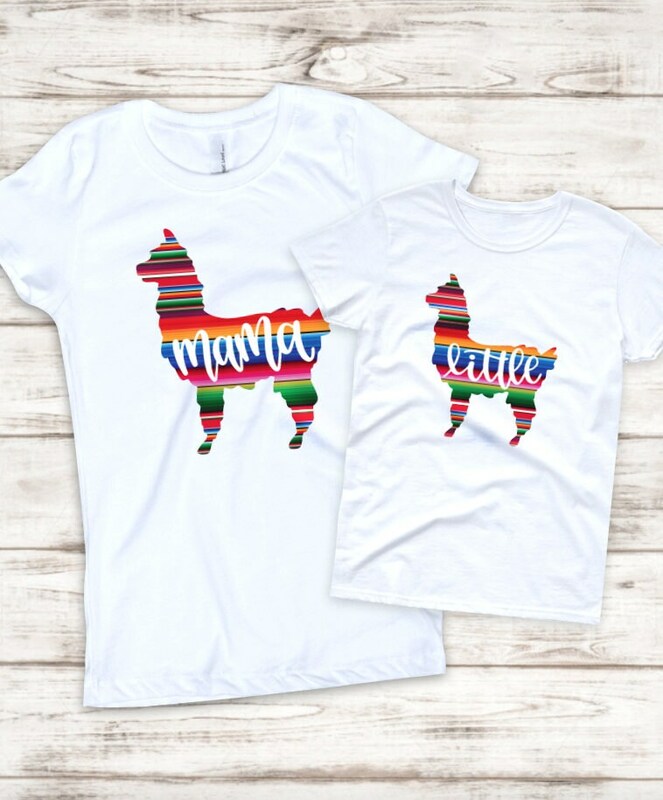 These colorful shirts are perfect for any llama lover! 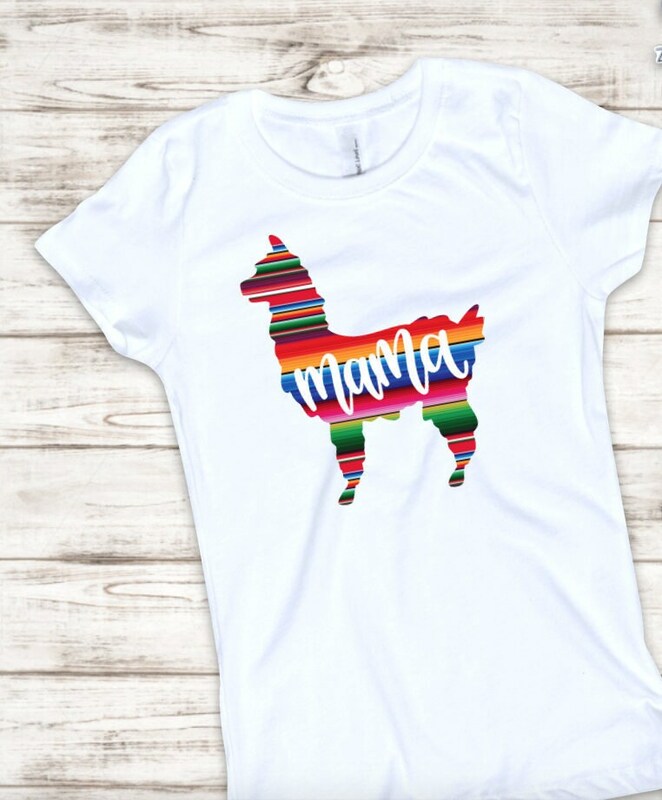 Comes in your choice of white or navy with colorful sarape print llama. 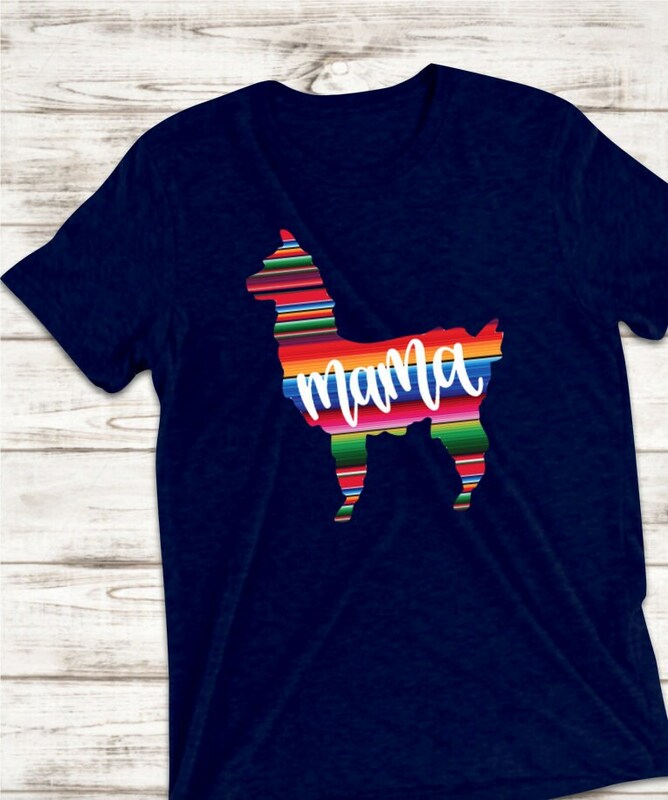 Mom shirt is a flattering ladies' dolman cut in adult sizing, and little llama shirt is traditional child/youth or toddler sizing.